This is much more than your standard vehicle graphic. 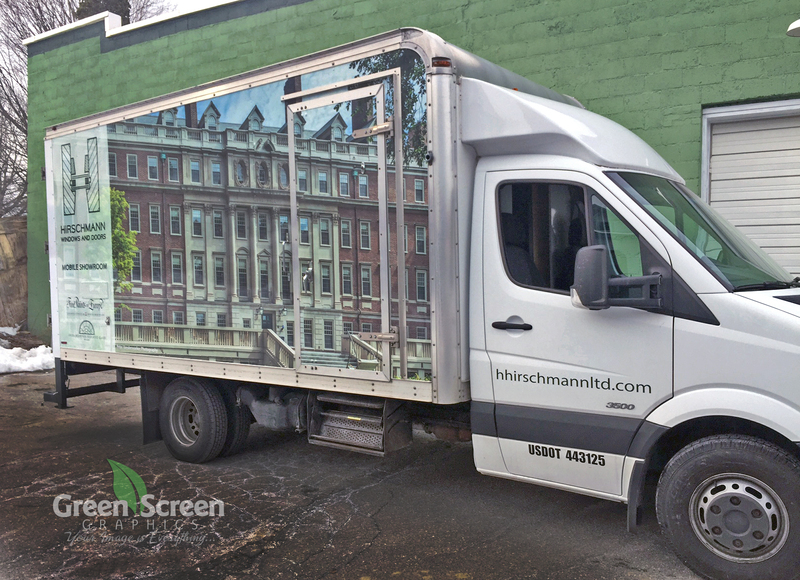 We were tasked with designing graphics that showcase some of Hirschmann’s work along with representing what’s on the inside of the truck. That’s right, this is not your standard truck or wrap; it’s a mobile showroom. 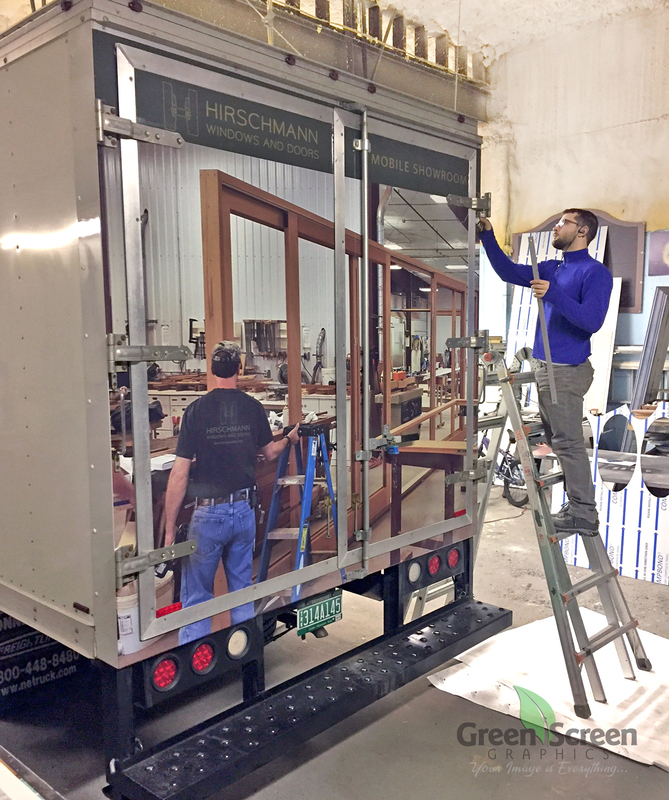 Hirschmann Windows & Doors use this to travel and set up for architects, clients, and contractors. Inside contains an assortment of windows and doors ranging from modern to historic.